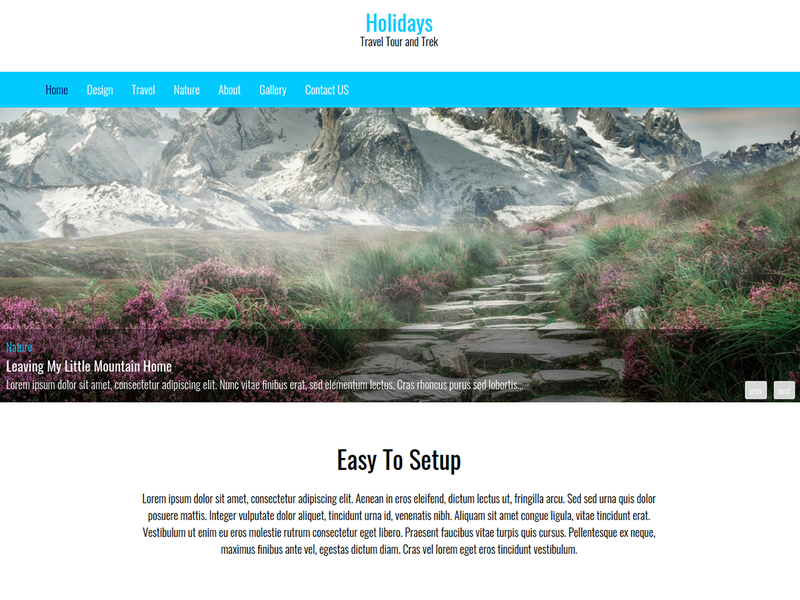 Holidays is a fully responsive holidays/tour and travels WordPress theme. 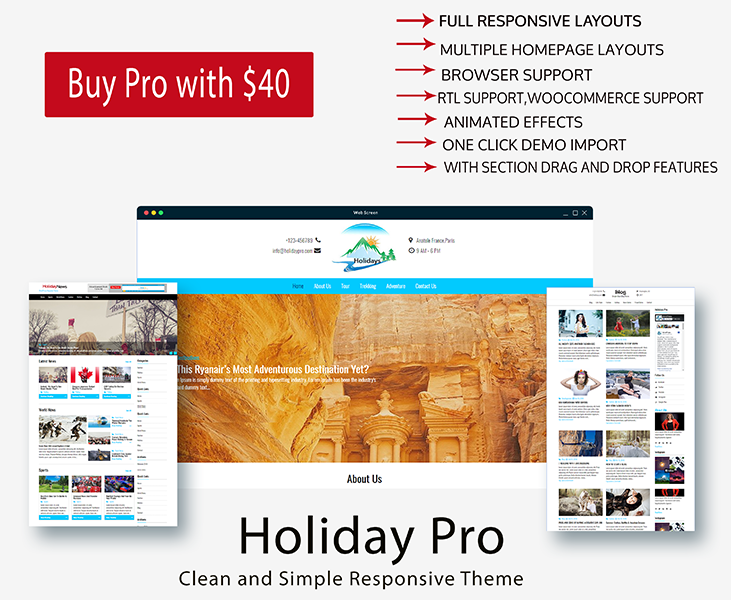 This theme is responsive and compatible with the latest version of WordPress. 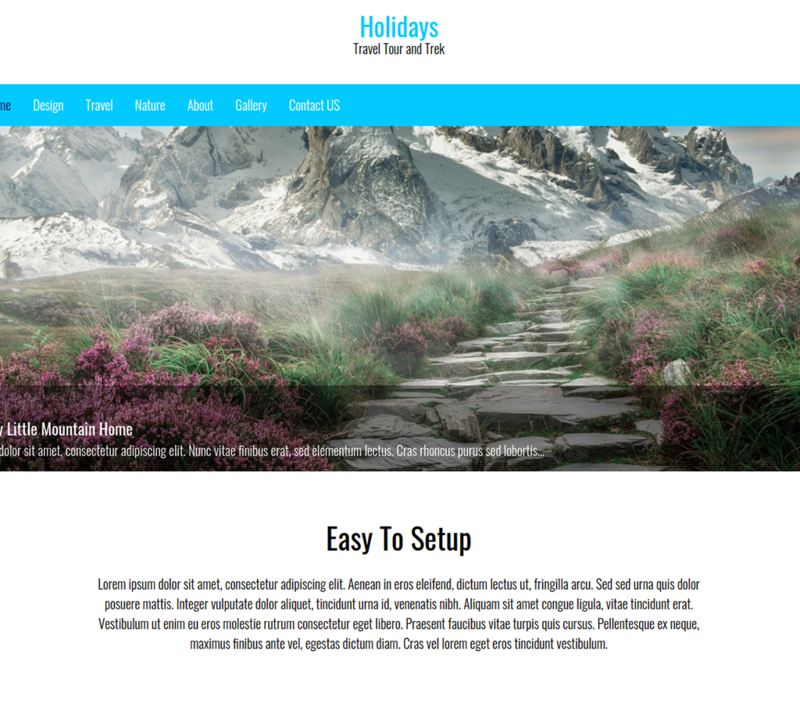 This theme is a perfect choice for a travel agency website, hotels and travel agencies review blog, traveling worldwide and tourism blog, travel agents site, tour operator or tourism company website, etc. Features include Custom Logo, Multi-level Drop-down Menu, Custom Background, Footer Widget Area, Search Engine Optimized, Built-in Slider, Multiple Browsers Support, and Translation-Ready.Holidays is a Responsive Blogger Template, it is clean and compatible with many devices, It’s perfect for creating your travel, tour, news, blog website and no need to coding as it is very customizable. he clean and secure code, faster page load time, responsiveness is what makes this theme unique from other themes.The variety of sections gives unique design for your websites.his theme is very easy to use for non coders also.